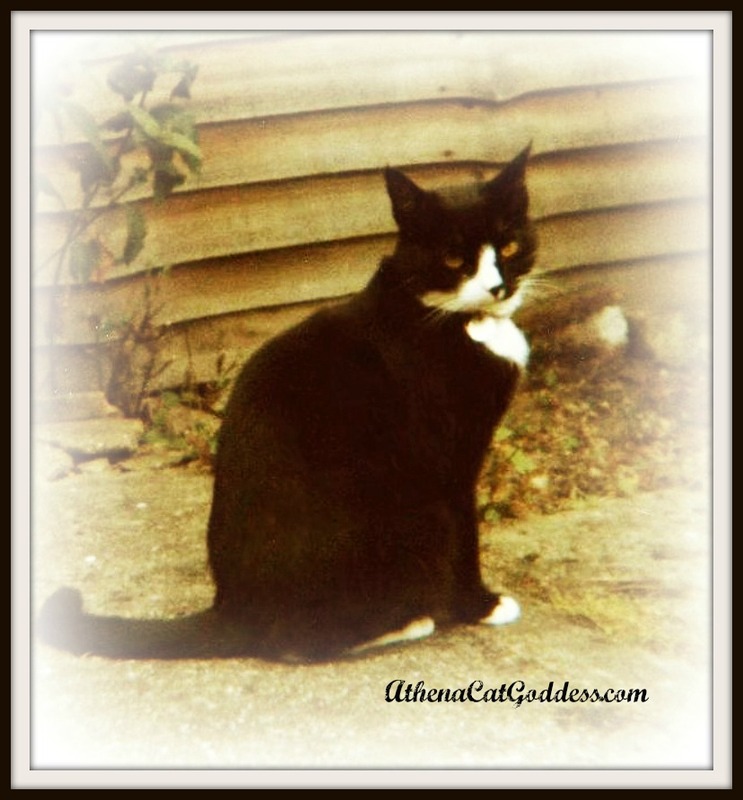 Athena Cat Goddess Wise Kitty: Caturday Art: Suzy, a special cat. 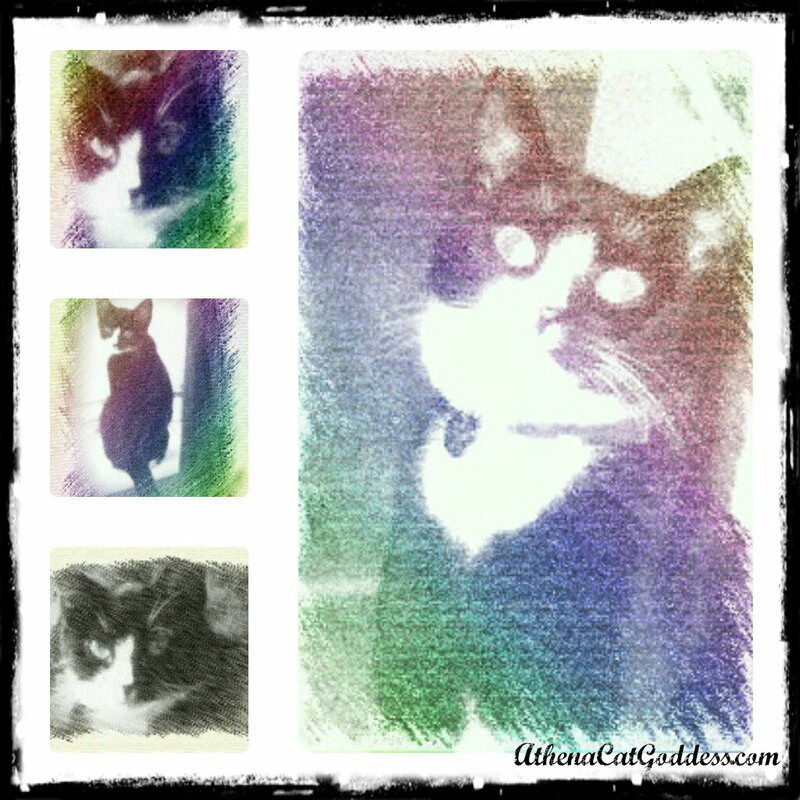 Caturday Art: Suzy, a special cat. Today, we are remembering my mum's other soulmate kitty, Suzy, who passed over the Rainbow Bridge sixteen years ago today. As you can see, she was a beautiful Tuxedo cat. Suzy lived with my mum for 13 years and was a very special cat. My mum loved her so much. It was a long time before I came along, but I know that Mum was the best parent to her. Just like she is to me. She instinctively knows what we felines need. I think she is definitely one of us. I know she took care of Suzy and Suzy returned her love. She always knew when my mum felt down and looked after her. Mum is writing a book about beautiful Suzy as a tribute. It's a cat fairytale story. Mum tells me it's almost done, but she always says that. Sometimes she finds it hard to keep motivated. However, I shall push her to finish it, and hopefully one day soon you will all be able to read it! What a beautiful tribute to a special kitty. I look forward to reading your Mum's book one day! Suzy were a pretty kitty. Suzy was a beautiful kitty and a book about her will spread her beauty far and wide. What a special kitty Suzy was! 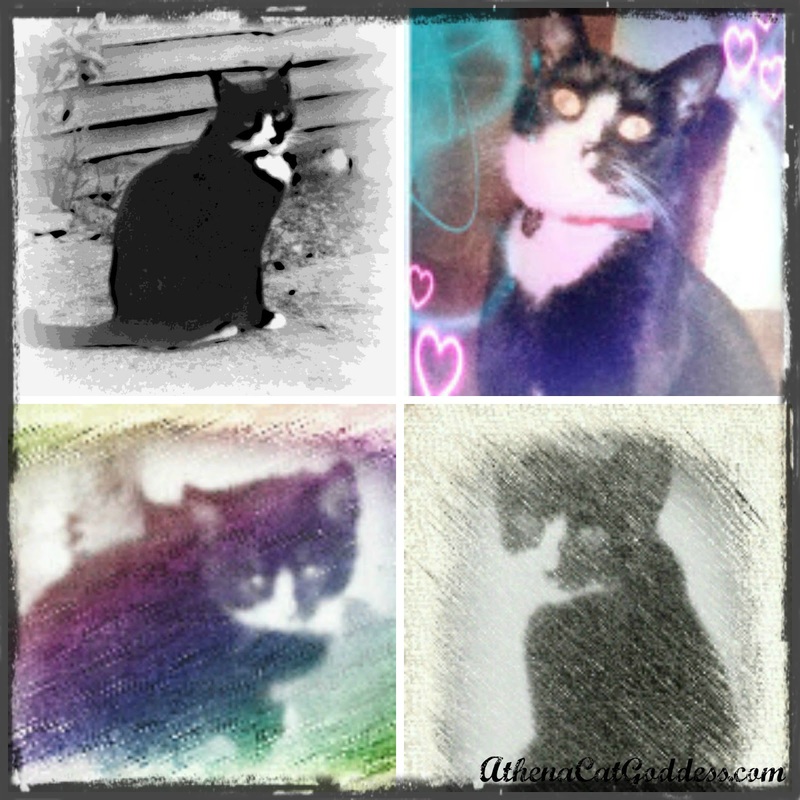 What beautiful art collages of Suzy and a lovely tribute to her, she sounds like a very special kitty...purrs to your Mom today, Athena. Purrs and love to your Mom, she was beautiful. It's great of you to help your Mom along with her book too. Suzy was a pretty tuxedo and we're glad you remembered here today. Thank you for your beautiful and comforting words. Suzy was a beatufiul tuxie. What a beautiful cat! We do have a soft spot for tuxies. Suzy sounds like a wonderful girl. And what a lovely tribute. Suzy was a precious cat and I’m glad she and your Mom had each other for that long. I really love how that first collage came out. Suzy is a real beauty and soft purrs to your Mom as she remembers sweet lovely Suzy. Suzie was a nice cat. Those older photos are the most precious--we have so many today and sometimes just one or two of a really special cat. I've been busy on Saturdays and missing the blog hop, so I'm catching up today with three!